What Is The Best Color For Christmas Lights? 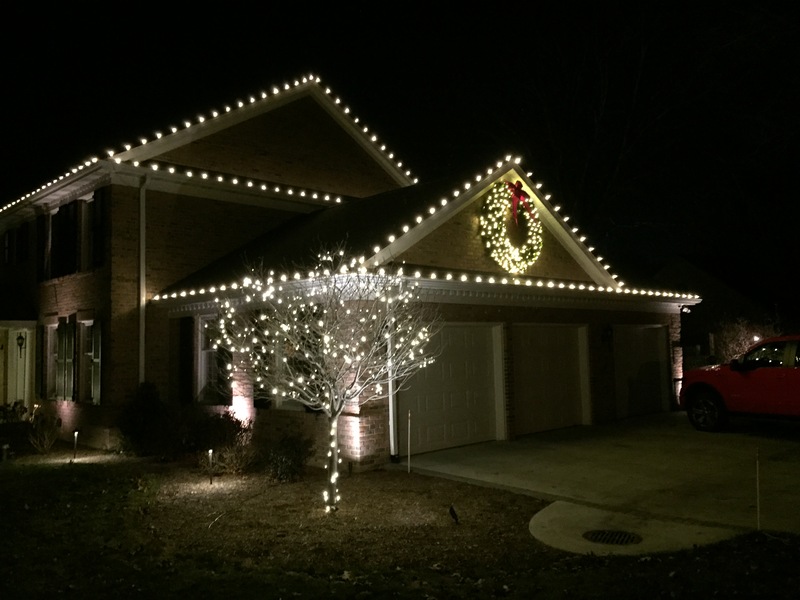 Through the years we have been professionally installing Christmas lights in Kalamazoo, Portage, Grand Rapids, and the surrounding communities. 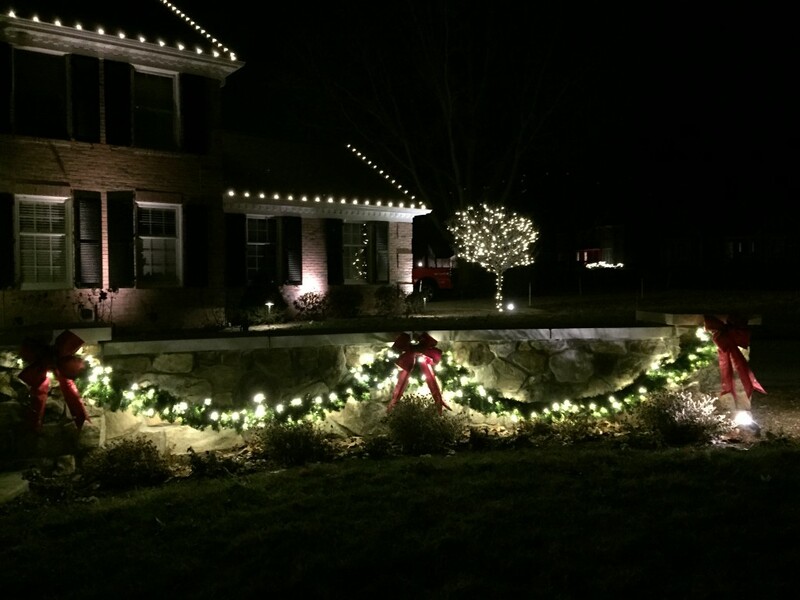 Here is a look at one of our Christmas lighting projects in Kalamazoo! These clients have actually been clients of ours for some time. 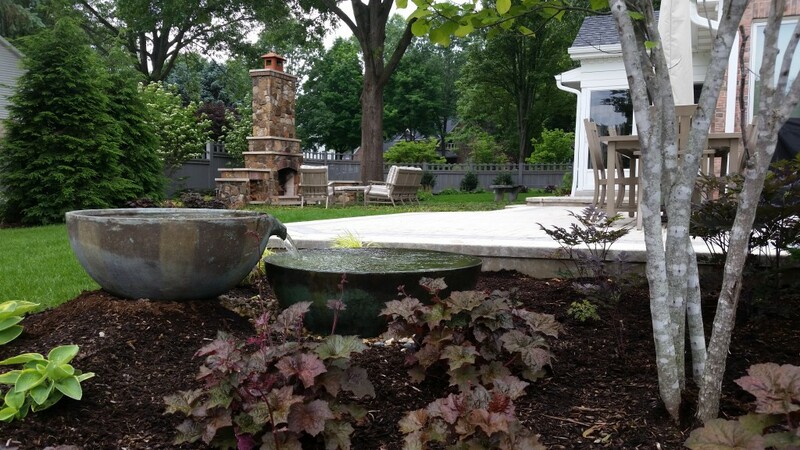 In early 2014 we overhauled their landscape for a complete redesign, and in the spring of 2015 we installed a spillway bowl before showcasing this property in the Kalamazoo Parade of Homes. So, when it came time for Christmas lights, they turned to us. 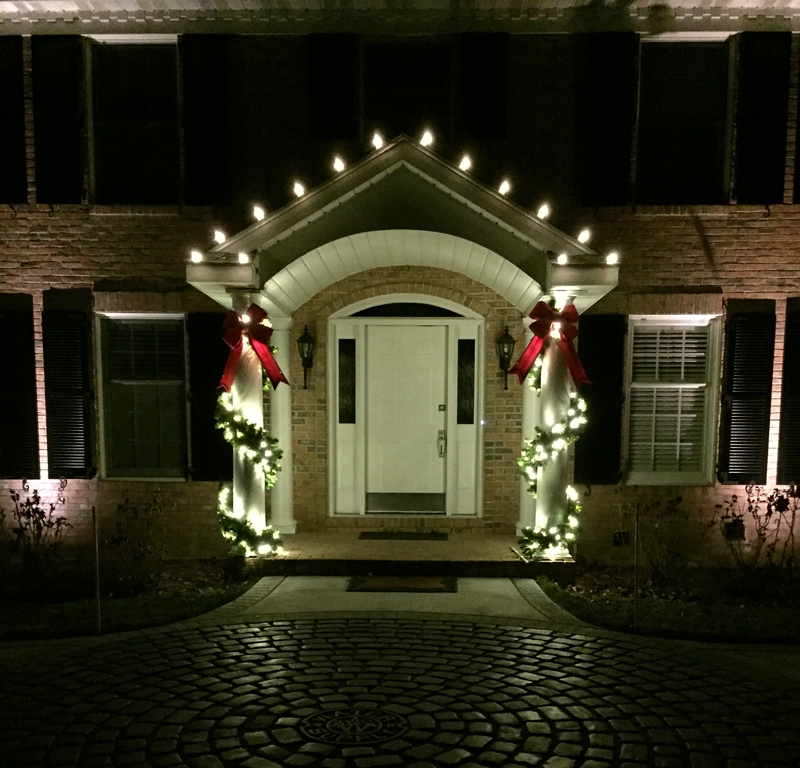 With a very traditional and symmetrical brick home in Kalamazoo, we really wanted to incorporate that with the Christmas decorations. 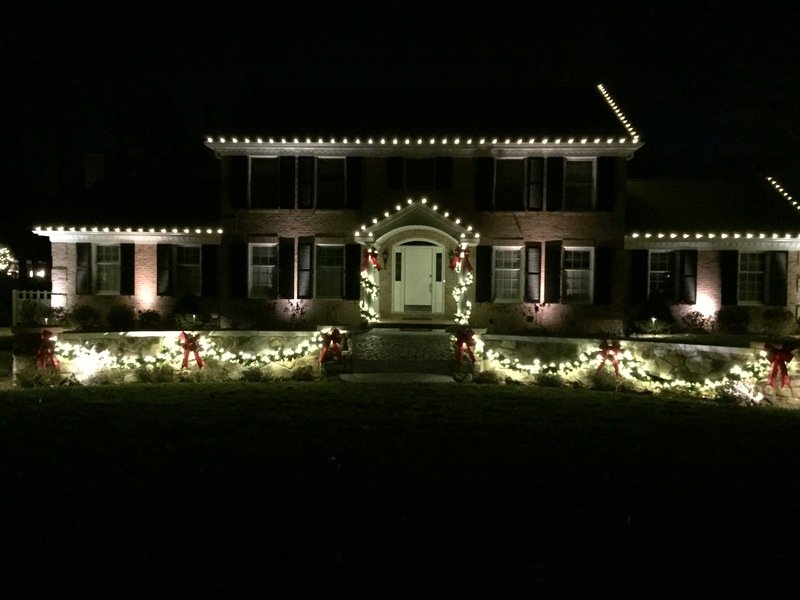 It can be a difficult to accomplish this and incorporate symmetry and yet still have the Christmas lighting look elegant, tasteful, and professional. What Were the Main Christmas Decorations? In order to achieve the desired look we were after, we started with the entry way. The entry way of this Kalamazoo home has an arched ceiling with two columns on each side. There is no better place for our greenery than on columns or posts! This creates the festive, welcoming entry way that many people desire. This Kalamazoo home also has two walls in front of the home and half circle driveway. This is the area we focused on next, adding more greenery and some red bows for that final touch. 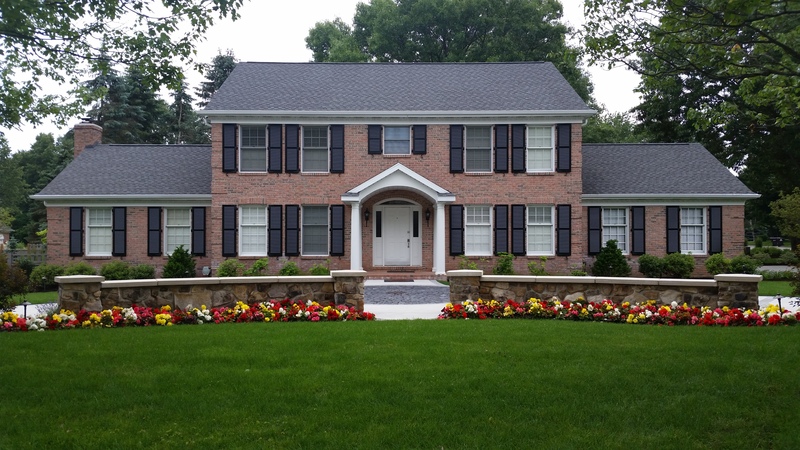 The roof lines were also included in the Christmas decorations, as well as a large wreath above the garage, and a few evergreens near the road. All together, installing the lights the first year took about a day to complete. This year it took only about a half a day for the installation. Are you ready for your professional Christmas lights Kalamazoo?